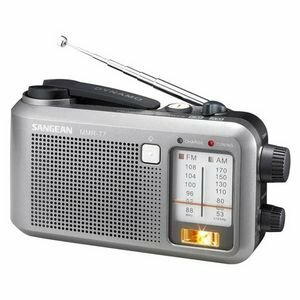 Sangean's new addition Compact-Size Utility Worksite LB-100 LUNCHBOX AM/FM Digital PLL Radio Tuner includes leading-edge features offers best-inclass reception, durability, Rain/Dust/Shock Resistant, superior sound quality and convenience. It makes this radio suitable for both in and outdoor work not to mention its simple operation and made for tradesman who enjoys their music while at a job-site.The LUNCHBOX features a flexible pivoting antenna and digital PLL tuner for better reception and has an AM/FM digital tuner with a large backlit LCD display to ensure excellent visibility.The LUNCHBOX has durable ABS plastic construction. Its impact-resistant material is just one aspect that makes this radio suitable for use on building sites.While operating on batteries the 2.7 meter long rubber cable can quickly and easily rolled up on the back of the unit to avoid tripping over while at a job-site.